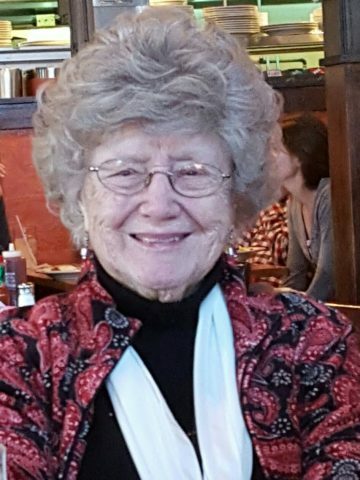 Mary Catherine Pafford – Age 97, entered into heaven on Sunday, April 2, 2017. She was a long time member of the Park Avenue Baptist Church and Order of the Eastern Star. Catherine was known as the “Pie Lady” and admired for her yeast rolls, and cakes. She is preceded in death by her husband, Elmer Newton Pafford; siblings, Theresa Veazey and Edward Clement; her parents, Glen and Mary Elizabeth Pafford. She is survived by her children, Nancy (Tim Morgan) Martin, Bill (Cheryl) Pafford, Glen (Becky Kenner) Pafford, and Mary Dawn Pafford; grandchildren, Brady Killingsworth, Chris (Tonya) Pafford, and Shane (Veronica) Slack; great grandchildren, Taylor Pafford, Skye Slack, Hawke Slack and Evaliyna Slack; siblings, June Rawls, Virginia Clendenin, and Anne Smith. A Celebration of Life will be on Wednesday, April 5, 2017, at 12:00pm, at West Harpeth Funeral Home with Brother Dave Werner officiating. Interment will follow at Harpeth Hills Memory Gardens. Catherine was always a great friend to the Mercer family. She was faithful in church attendance and always had a smile on her face. We will miss her so much. I lived on the same floor as Catherine and am so glad I knew her. She always had a smile and a perkiness and gutsy tenacity to live each moment to the fullest. She was truly a lady with good values, rare in society today. My grandmother (Ellen Tant) was a good friend to Miss. Catherine. I will remember her sweet personality. I will also remember her for her awesome chocolate pies…my grandmother made sure all three grandkids knew how to make them (and my sister has passed it down to her teenaged son). I’ve known Mary, indirectly, since I was 14 to 15-years old and soon to be 74-years young. Mary’s husband Newt was a good friend of my father Dave Redmond and they used to hunt, target shoot together. Yes, Mary was known for her baking and those rolls were wonderful. Back in 2007/2008 I presented a Friday afternoon program, at the Villa Maria Manor, about West Nashville History. There was one Friday, Mary walked in and we chatted briefly before the program started. I mentioned I had not had time to have lunch. Mary said, “I’ll be right back.” Within 10-minutes, Mary had brought me one dozen of the “mini” rolls and they were out of sight. I ate five of them on my way home. Mary was a happy and caring person. Every time I saw Mary, she had that beautiful smile on her face. Rest in Peace Mary! A very sweet and thoughtful Christian lady. I remember when our son was born and she brought us one of her famous pies. She will be missed.